The Eternal Beauty Skin Care rejuvenating system is proudly owned and made in Australia. 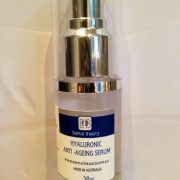 Its AHA formulation softens and smoothes skin, repairing damage and leaving skin fresher, smoother and healthier whilst dramatically fading fine lines and wrinkles. Glycolic acid cream and serums are effective and simple to use, providing the skin with ongoing gentle exfoliation whilst visibly improving all skin conditions from fine lines wrinkles and sun damage to acne and acne scarring. The Eternal Beauty Skin Rejuvenating System has improved the skin’s appearance for thousands of men and women of all ages. The products have been proven to refine and accelerate the natural process of exfoliation and increase the natural rejuvenation of the skin. Used daily the appearance of wrinkles can be dramatically reduced – a smoother fresher, younger looking and wrinkle free appearance can be achieved. Wrinkles can be greatly diminished in as little as ten days. 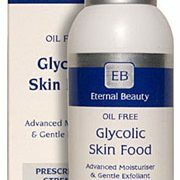 Eternal Beauty skin care products have been formulated with Glycolic Acid – an Alpha Hydroxy Acid (AHA) which originates from sugar cane and has been heralded as a “scientific breakthrough” in the treatment of acne and wrinkles. 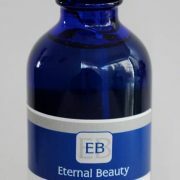 Eternal Beauty’s Vitamin C super serum is a complete antioxidant treatment which can be used on all parts of the face and neck, working in synergy with Glycolic Acid treatments and protecting all skin types. This super-potent formula smoothes away wrinkles, protecting the skin against free radical damage, and leaving it with a smooth, refined and wrinkle-free appearance. 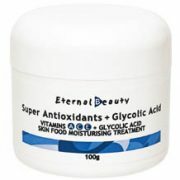 Eternal Beauty products contain glycolic acid, an effective alpha hydroxy acid, which helps to dissolve the glue-like substance which holds dead cells on the skin’s surface. 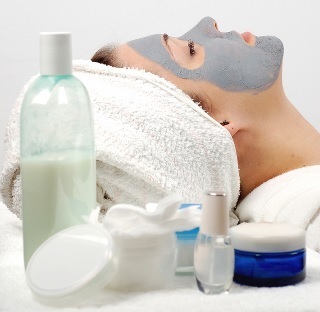 Skin appears softer, smoother, clearer and healthier.